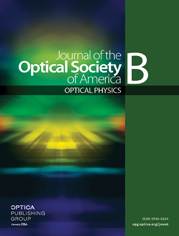 An optical fiber twist sensor based on surface plasmon resonance (SPR) excitation and able to operate in both gaseous and liquid media is proposed and demonstrated. The use of a gold-coated 37.5° tilted fiber Bragg grating allows one to generate two windows of cladding mode resonances, providing surrounding refractive index sensitivity in two different external media. The relative optical power of the SPR mode in each case exhibits a linear response to the twist angle of the fiber from 0° to 90°, as well as from 90° to 180°, as a consequence of the polarization dependency of these sensors. The results show sensitivities of 1.15%/° and 1.22%/° with the sensor working in air and liquids, respectively, being suitable for deformation measurement and structural health monitoring applications. 3 April 2019: A typographical correction was made to the author listing, and a correction was made to the funding section.